Sarah is an Executive Coach and Trainer, specialising in personal impact, confidence and assertive communication. 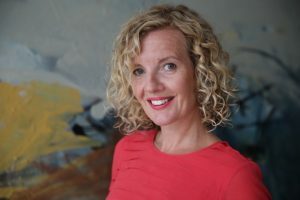 Her background as a professional actor has led her to develop a unique brand of experiential training, enabling people to grow their confidence, achieve their goals and realise their full potential. Sarah is a co-founder of Verve Women, an organisation focussed on women in leadership. She is also an associate of CSW Inc, a US based organisation that delivers unconscious bias programmes and reflects her passion for equality and inclusion. Her client list includes BBC, Louis Vuitton, Wollf Olins, Clore Leadership, Nissan, Farfetch, Coca Cola, Goldman Sachs, Barclays & Microsoft. Helping people reach their potential. Selling burgers in the food court of Kings Cross Station when I was 18 and at Drama School. I’ll never forget the smell of the deep fat fryer. At least the haggis burgers were grilled. I’m most proud of somehow managing to build a career out of my passions – creativity, inclusion, making a difference. My greatest fear is that the creative and cultural sector will only be accessible to the most socially and economically advantaged people in our society. Creativity is being squeezed out of the state school curriculum which means that less advantaged children lack the opportunity to gain inspiration and confidence that a creative education can foster. It’s unacceptable to have a system where a career in Arts and culture is out of reach for so many people. What are your three unexpected qualities any leader needs? Actively seek out difference — we all know the research about diverse teams out-performing less diverse teams but it’s easy to fall into the trap of finding comfort in familiarity. Inclusion is an action. Honesty – the best leaders will have honest and skilful conversations with their team and nip any issues with performance or behaviour in the bud. Politeness can be ruinous! Ask people for their own thoughts and ideas before offering them advice. If you treat people as though they are resourceful, they will be. I had to consult on this as I’m really not sure! According to my best friend, I’m ‘the ultimate social binding agent’…..
Find out how others experience you. It’s great to know what you do well so you can carry on doing it, and it’s great to know what you could get better at – so you can. Sarah is delivering a Leadership Hack at Emerging Futures 2018 — BRAVE CONVERSATIONS: THE KEY TO RESILIENCE. You can find out more about Sarah on her website.